Canada Fans Industrial Blowers and Fans has a long and well established record of producing a full range of large industrial fans, blowers and belt drive and direct drive propeller fans for commercial and industrial applications. Our Engineering and Product Design Departments have expert professionals who can assist customers develop custom designed air handling and conveying systems that meet and exceed their critical industrial fan and blower applications. Regardless of your ventilation requirements, rely on Canada Fans Industrial Blowers & Fans to deliver the best and most effective air movement systems and solutions possible. 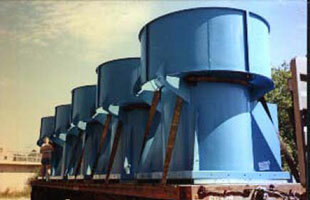 The centrifugal fan shall be designed and manufactured by Canada Fans to ensure smooth operation. Fan wheel shall be Backward Curved Unifoil™ as shown in plans with all steel construction. 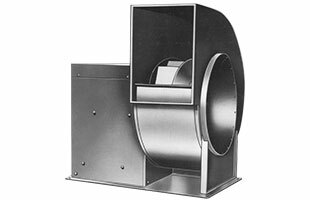 The centrifugal fan shall be designed and manufactured by Canada Fans to ensure smooth operation. Fan wheel shall be radial paddle wheel “XO” as shown in plans with all steel construction. 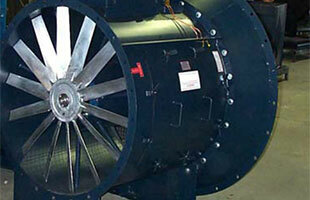 The mixed flow inline fan shall be designed and manufactured by Canada Fans to ensure smooth operation. Fan wheel shall be all steel construction complete with truncated cone shape hub and conical shroud to ensure continuous quiet operation. Canada Fans vane axial fans are designed for commercial and industrial applications where large volumes of air are required at moderate to high pressures. These fans are an excellent choice for HVAC systems using variable air volumes, clean rooms, parking garage exhaust, tunnel ventilations and other high volume requirements. The tubular design, high efficiency rotor and integral straightening vanes provide high performance using minimal space. 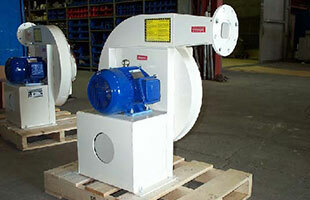 These fans can be mounted in a variety of configurations and are available with a complete line of accessories. The fans shall be (direct/belt) driven vaneaxial type as designed and manufactured by Canada Fans to ensure smooth operation. Fan wheels shall be aluminum with airfoil cross-section blades in all sizes. The roof ventilator shall be mounted with up-blast discharge and include a complete (direct/belt) driven vaneaxial type fan as designed and manufactured by Canada Fans to ensure smooth operation. 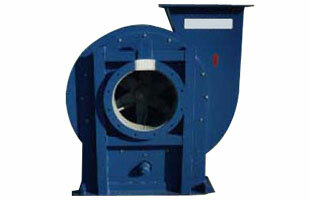 The centrifugal fan shall be designed and manufactured by Canada Fans to ensure smooth operation. 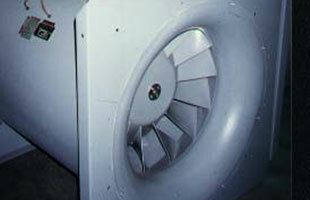 Fan wheel shall be radial with tapered shroud and backplate steel or aluminum wheel construction.